This is an electronic art installation project brought to life by two separate acts. Omer Nashaad is all set to play varied numbers from Dubsteps to Techno numbers. This will be accompanied by a visual play that shall take you to yet another dimension. To follow up, the duo from Germany -- Daniel Dorsch and Hans Narva -- shall play some Deep House and Drum and Bass. They have come back to Bangladesh to experiment with Kathak Dance forms and fuse in Eastern music and dance elements with experimental Berlin electronica! Experience presented by: The Goethe Institute and LiveSquare. Entrance is free but only by registration. Contact info@ livesquaremusic.com for more info. 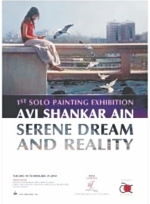 Art Club Bangladesh requests the pleasure of your company on the occasion of the inaugural ceremony of the first solo painting exhibition "Serene Dream and Reality" by Artist Avi Shankar Ain. The programme will be inaugurated by Farooq Sobhan, former diplomat and President, BEI; Jamal Ahamed, Chairman, Department of Drawing & Painting Faculty of Fine Arts, University of Dhaka will be present as Guest of Honour. "36-24-36" is a description of feminine beauty. It not only quantifies the measurements of a women's physique, but also sets a notion of ideal beauty. This construct in turn is used by the media and industry as a means and an end to communicate and sell products. This documentary examines this construction of ideal feminine beauty and it's social, psychological and political effects both locally and globally. Mayar Khela, or "The Play of Illusions" is the story of a man, Amar who is in love with Shanta, but due to an inexplicable ennui that he experiences, he decides to see what the world has to offer before he commits himself to a set way of life. During his sojourns he meets Pramada, the most beautiful woman in that land. But flirtatious Pramada doesn't give Amar his true worth and eventually Amar decides to return to Shanta after which they are reunited once again. While the play itself runs on a linear plane the meta-narrative which adds fun and frolic is the role of the 'Maya-kumaris' (Maids of Illusion) who Tagore posits as the 'illusionists' who manipulate events like master puppeteers.. Ticket prices: Tk.1000, Tk.500, Tk.200, and Tk.100. and can be collected in advance by contacting kanchendzonga@gmail.com; poly_h@yahoo.com, sending sms to 0171 304 0814; 0174 768 7654 or calling 0171 304 0814. Tickets will also be available from 7 December at Jatra (Banani, Kamal Ataturk Ave; Dhanmondi Road #27) and Shadhona (House #5, Road #27, Block J, Banani). Valuing the suggestions by their valued clients Seven Hill Catering is thrilled to organise a BBQ Night at the Rooftop of Sevenhill Restaurant, located at Bangla Motor. Their menu will include BBQ chicken, beef kebab, grilled crab, grilled prawn, grilled vegetable, chicken wings, nan/paratha, zira rice, etc. Admission: Tk.800. There is also a 20 percent discount on the stated rate of entrance. Conditions apply. 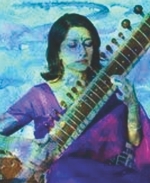 Alif Laila is an accomplished sitar player of Bangladesh who played at the recently held Musical Festival organised by Bengal Foundation. Her concert at Radius Centre will enable classical music lovers to enjoy a scintillating performance in an intimate venue which has superb acoustics. Tickets priced at Tk.600 are available at Red Shift/Radius Centre. 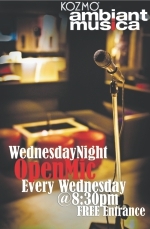 Kozmo Banani is hosting Jam Sessions every Monday and Open Mic on Wednesdays. Both sessions are conducted by Seth Panduranga Blumberg. If you'd like to perform at the open mic (or jam at the Monday jam session) enlist yourself with Pandu in advance so that the band can be prepared. Other than music you can bring in literature, comedy skits, etc. or just come in and enjoy the show. There's no cover charge to get in. We have our own sound system with monitors and mics. You are required to bring in your instruments and the required connection cables. Management and Pandu reserve the right to refuse any performance. Address: Plot 67/D Block E, Road 11, Banani. Mermaid Café has announced special discount prices at their restaurant during 'Happy Hours' and 'Late Bird Hours'. While Happy Hours at Mermaid Café are from 3.30pm to 6.30pm every day, Late Bird Hours are between 10.30pm and 12.30am (Thursday-Saturday) and 10pm - 12am (Sunday- Wednesday). During Happy Hours customers will be able to enjoy delicious Mermaid specialties such as Fresh Seafood Soup at Tk.175, Classic Tomato Soup at Tk.125, Chicken Sandwich at Tk.225, BBQ Chicken Wings at Tk.175 and Fish & Chips at Tk.210. During normal hours, the prices are substantially higher. BBQ Chicken is a special dish available only during Happy Hours. Ice Cream from Movenpick shall be available at Tk.195. Ice Cream dishes available shall be Swiss Chocolate, Carmelita, Vanilla, Strawberry and Stracciatella. Mouthwatering desserts and various Coffee-based drinks shall also be offered at special discounts. Happy Hours and Late Bird Hours have commenced from 14 December, 2012. Christmas celebrations at Dhaka Regency will begin on Christmas Eve for those wanting to feast on celebration goodies. While Grandiose Restaurant will be featuring an extended buffet dinner, both the Grandiose and the beautiful Grill On The Skyline (rooftop) are offering a sumptuous and extravagant five-course set menu. This offer will also be available on Christmas Eve. On Christmas there will also be a special Buffet Brunch at the Grandiose Restaurant. But the real fun will begin on Christmas morning when, from 11am to 2.30pm, the “Regency Christmas Kids Party” commences. Appropriately named, a carnival of veritable entertainment, this children's party will have pop corn, Toy Train, Ball Pool, Monkey Dance and cotton candy and lots of other premium edibles loved by kids everywhere. For more information or reservations, please call 01713332599. Prestige Bengal Ltd., the pioneer distributor of iconic global fragrance, has been appointed by Nature's Beauty Creations Ltd. as the official importer and distributing partner for the Nature's Secrets herbal cosmetics range in Bangladesh. Nature's Secrets is now registered in more than 50 countries worldwide and available in many countries in South & South East Asia, Europe & Asia Pacific. This event was staged at Spectra Convention Centre on December 1. It was attended by His Excellency Mr. & Mrs. Sarath Weragoda, High Commissioner of the Embassy of Sri-Lanka, Mr. Samantha Kumarasinghe, Chairman/Managing Director, Nature's Beauty Creations Limited, Mr. Asif Moyeen, Managing Director, PBL, Mr. Faiyaz Khan, Group Finance Controller, Far East Knitting and Dyeing Ltd & Mr. Amaan Moyeen, Director, PBL and Mr. Kazi Ziaul Hasan, COO, Prestige Bengal Ltd,. and many other distinguished guests. The event was star-studded with big names from the fashion, beauty salons, media and entertainment industries. Menz Bangladesh inaugurated their new fashion salon on the 12th of December, 2012 at 12:00 pm. The auspicious timing marked the opening of Dhaka's latest exclusive salon, lavishly spread over 2200 square feet. All of a man's hair care needs will be catered to in this exclusive salon. The event was inaugurated by the salon's Brand Ambassador, model and actor Emon, former cricketer Habibul Basher, Mirakkel 6 winner Abu Henna Rony, media personality Palash Mahabub and Luftar Hasan. Along with them, Menz Bangladesh's Managing Director Parveen Sultana, Director ATM Abdullah, Executive Director and Head of Operations Mohammad Delwar Hossain Liton. As the wintry chill flows through the city, fashionistas gear up for what may be a long season, if previous years were any lesson for us that is. 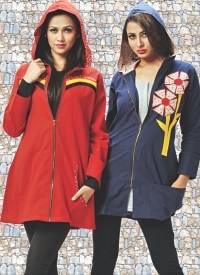 Smartex has brought a wide range of hoodies for men, women and children, and once paired with jeans or khakis, these go perfectly with your happy-go-lucky image, You may even put them on your brisk exercise sessions at the gym or the park. Prices range between Tk.1450-1950. Available at all Smartex outlets. In this season of weddings when all are aflutter in their efforts to stage the perfect wedding ceremony, Sun Multimedia has arranged a three-day wedding fair to be held at Dhanmondi's Drik Gallery from 22-24 December. The fair aims to bring into being various visions surrounding the staging of a wedding, and the services being advertised over the three-day fair include venue décor, flower arrangements, photography and video, photo album, cinematography, lighting, invitation cards, DJ and band. For details visit their Facebook page www.facebook.com/sunmultimedia or their website www.sunmultimediabd.com. Sun Multimedia address: 2/5, Block-F, Lalmatia, Dhaka-1207. # 01711367100. Eat slower and lose weight. A growing number of studies confirm that just by eating slower, you'll consume fewer calories -- in fact, enough to lose 20 pounds a year without doing anything different or eating anything different. The reason is that it takes about 20 minutes for our brains to register that we're full. If we eat fast, we can continue eating past the point where we're full. If we eat slowly, we have time to realise we're full, and stop on time. Wearing headphones is the universal sign for “do not disturb.” To make it obvious, choose big clunky ones instead of those tiny invisible ear-buds. Get ones with noise-cancellation and you'll have an instant sound booth. Even if you're not listening to music, blocking out ambient noise will help you focus on your task. Headphones are just about the easiest ways to keep from distracting yourself. But do not wear headphones while walking on the road, riding a bike, or driving a car.